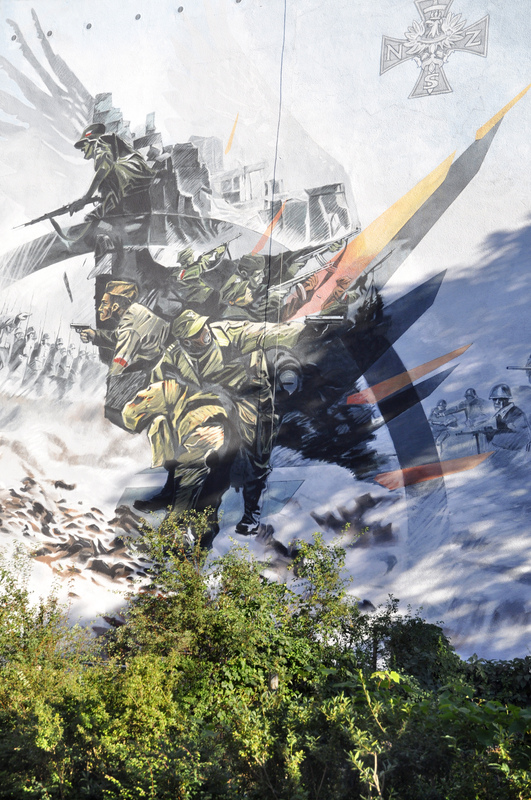 The mural was created for the 70th anniversary of the National Armed Forces, a force of 100,000 in armed conflict with the communist regime during the years directly after the conclusion of the Second World War. It shows the appalling conditions for these ‘enduring’ troops who did not lay down their weapons when the rest of the world was celebrating the end of the war. Painters: Emil Goś, Michał Węgrzyn.